The new BSc in Music, Sound and Technology offered by City University London has received accreditation from the education support organisation JAMES. The degree programme is designed for those pursuing careers as audio engineers, sound designers, film and TV composers. JAMES, which provides accreditation for courses relating to the music and entertainment industries, said the Department of Music at City had been at the forefront of innovation for many years. The Department is celebrating its 40th anniversary and will welcome students to the new BSc in Music, Sound and Technology in September 2016. Dr Miguel Mera, Head of the Department of Music, said: "I am absolutely delighted that JAMES has recognised our new BSc in Music, Sound and Technology with provisional accreditation and we very much look forward to working closely with them in the years ahead to ensure that our new intake of students are prepared for the creative and technical industries of the future." The BSc in Music, Sound and Technology offers students the opportunity to develop a unique blend of skills in digital audio technologies, critical thinking, creative innovation, aesthetic awareness and entrepreneurialism delivered in a stimulating research-led environment. The programme has been created in response to the growing demand for flexible music and audio professionals by producing graduates with a unique blend of intellectual, technical and creative understanding. City has a long tradition of engagement with music technology, starting with the launch of a ground-breaking BSc Music programme in 1975, which was the first of its kind in the UK. 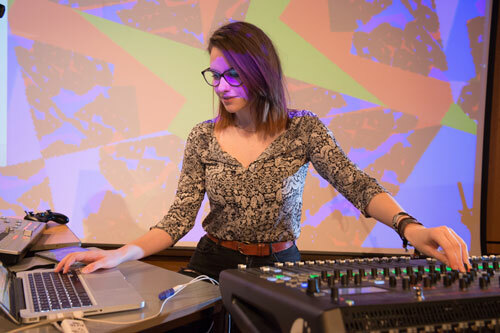 The strong roots in electronic music are closely aligned with its historic research strengths in composition, music technology and cross-disciplinary practices. JAMES is a consortium of music and entertainment industry organisations collaborating in the support of education and promotion of excellence. Assessed by industry professionals, the body engages with education primarily through its course accreditation process, which is designed to endorse relevance, quality and continuing innovation throughout the student curriculum.